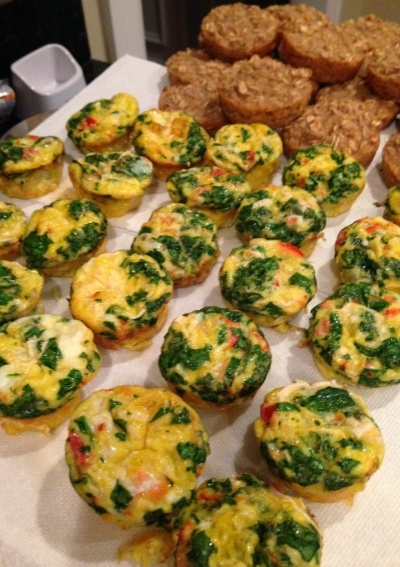 Mini Veggie Omelets - Breakfast around our house on weekday mornings means quick & simple! It's hard enough to get out of the house with a toddler and make it to daycare and work on-time and in one piece let alone make extravagant breakfasts!! Garlic Powder or Ground Mustard if you wish!